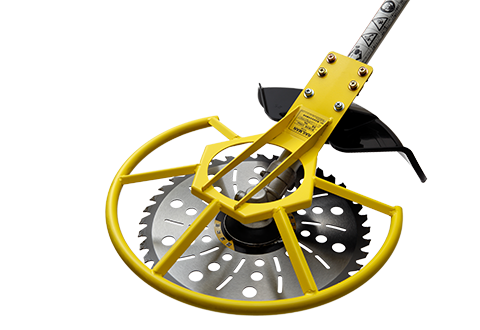 Operators are spared from fatigue with the tie tamper with the world's lowest amount of vibration. 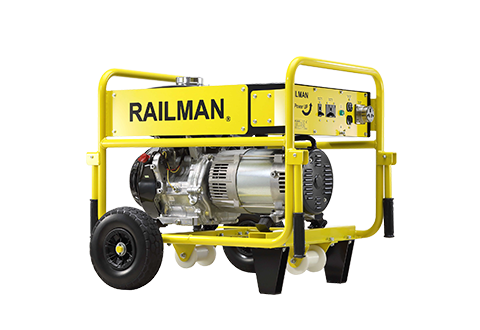 Up to 4 tie tampers can be connected to most small power generators. Shared 50/60Hz specs, bit with isolation protection. Orders for overseas specs promptly filled. 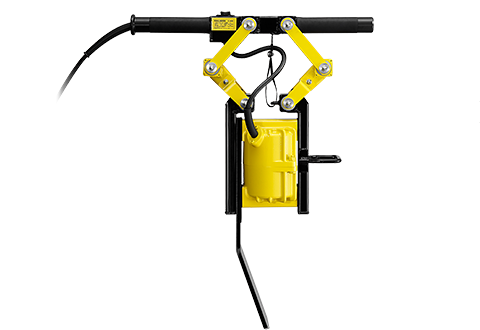 Bit with isolation protection, Smart Handle with low vibration to reduce operator fatigue, shared 50/60Hz specs. Service has been improved and orders for overseas specs are promptly filled. Air Cleaner standard equipmentｔ and, low price. 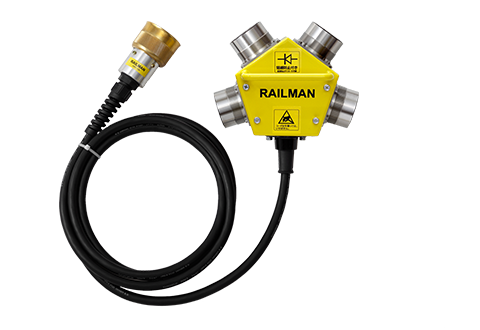 Railway Track Maintenance for Southeast Asia. More Power Generator. Lightweight aluminum die-cast body, 200 V high-power electric drill. Comes equipped with a 10 m cable and tie-tamper connector plug. 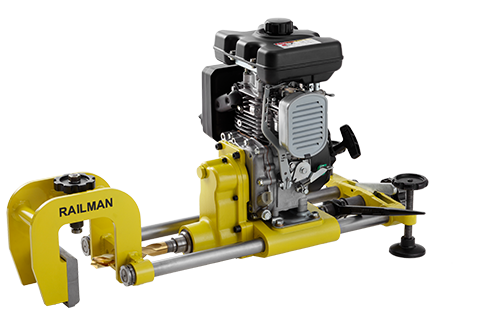 200 V blower can be used simultaneously with tie tamper and 200 V electric drill. Comes equipped with a 10 m cable and tie-tamper connector plug. 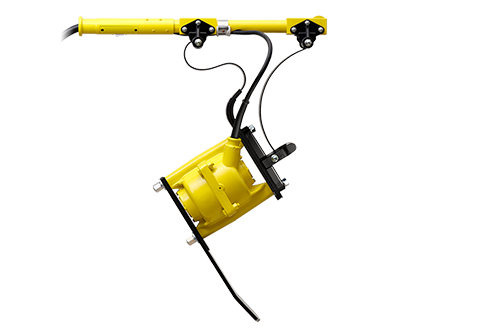 Durable pipe frame protects connection plugs and is equipped with latest display lamp for night work. Accidents are prevented with internal backflow-prevention diodes. Built for efficient stacking storage. To repair ballastless track, CA Mortar Excavator digs up and safely removes deteriorated concrete and asphalt. 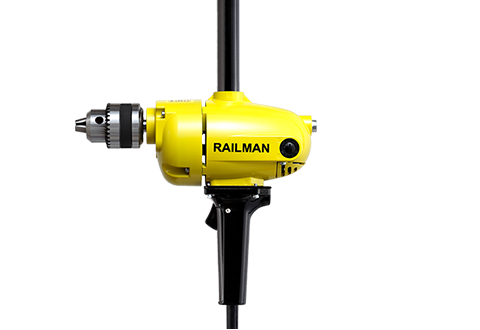 Drills holes in rails quickly and simply! The ISHIDA slide configuration makes work even easier. 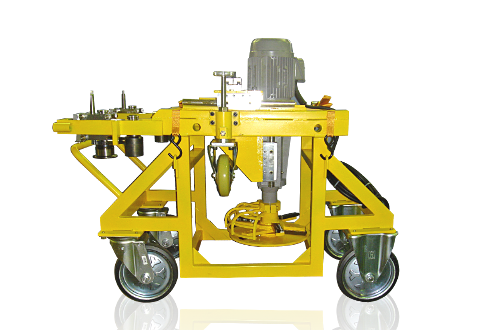 This rail drill is popular throughout the world, including developing nations. Cuts weeds while protecting cables. 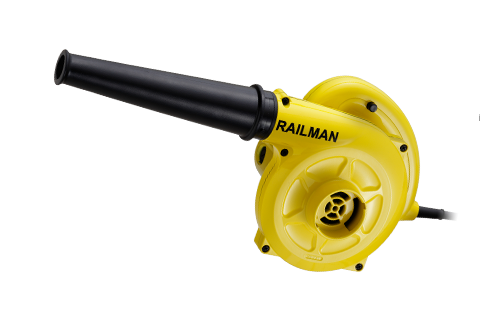 RAILMAN's proposal for avoiding accidentally cutting cables with weed cutters.